Harsilis lovely place for new couple. It is very cold destination in round the year. You can also enjoy the hotels in Harsil every time. Harsil is next destination after Uttarkashi. There is also famous for apple orchid. Harsil is a beautiful place of Uttarakhand in India. Harsil is very prominent place just because of its beauty. The height of Harsil is 2620 m above the see lavel. Harsil is too good location where you can enjoy trekking ,good mountain air and beautiful mountain scenery. Harsil is lovely place for new couple. It is very cold destination in round the year. You can also enjoy the hotels in Harsil every time. Harsil is next destination after Uttarkashi. There is also famous for apple orchid, harsil city, harsil weather, harsil sightseeing, harsil tourist information, how to reach harsil, things to do harsil, harsil village, harsil temple, harsil uttarakhand, harsil india, harsil travel guide, harsil destination, harsil tourism. There are many place to visit near by Harsil. 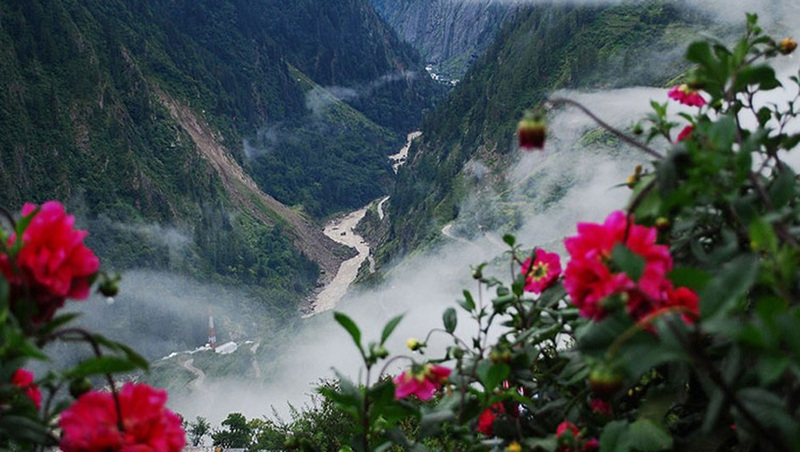 Harsil is situated on the banks of Bhagirathi river. Harsil is 25 km from the pilgrimage of Gangotri. Harsil is a sangum of the Jalandhari and the Bhagirathi. According to the legend Harsil is famous for the legend of “Pahari” Wilson or Raja Wilson and his wife Gulabi. Harsil is still not faded just because of its beauty. Frederick E . Wilson was an very bold who is believed to have deserted the British Army just after 1857. He was drop the Garhwal and go tehri and he was meet Raja of Tehri and seeking shelter. But Tehri Raja , who was loyal to the British, refused to give him shelter and he moved into the interior areas of the hills. He reaches on the Banks of the Bhagirathi with full majestic and deodar trees on both sides. Wilson married with a Garhwali girl ‘Gulabi’ of Mukhba village. The british were building the railways in India and there was the great demand for quality wooden sleepers for the rails. Wilson so wealthy and powerful by the business of wood just because of that’s business Wilson is consider as the Raja Wilson. Gulabi and Wilson was live in vilson college. a huge mansion built by him in the late 1850s, which now lies in ruins. According to media huge and colleen Gantzer, Gantzer, Wilson buiit a double-storeyed mansion in the village. There are many places to visit in Harsil. dharali is 2km located from Harsil. Harsil is prominent of its garden of Apple and red beans cultivation. In Dharali there is a shrine of lord Shiva. That is very famous temple in Dharali. The old story from hindu epics consider that Sage Bhagirath meditated for years to bring down ganga on the earth for their ancestor salvation .They have built the temple to justify the truth and in the memory of Bhagirath. Also Ganga is called as Bhagirathi. mukhwas village is 1km from Harsil. This is the winter house of godess Gangotri because of Gangotri itself is prone to heavy snowfall making the place pure and beautiful. 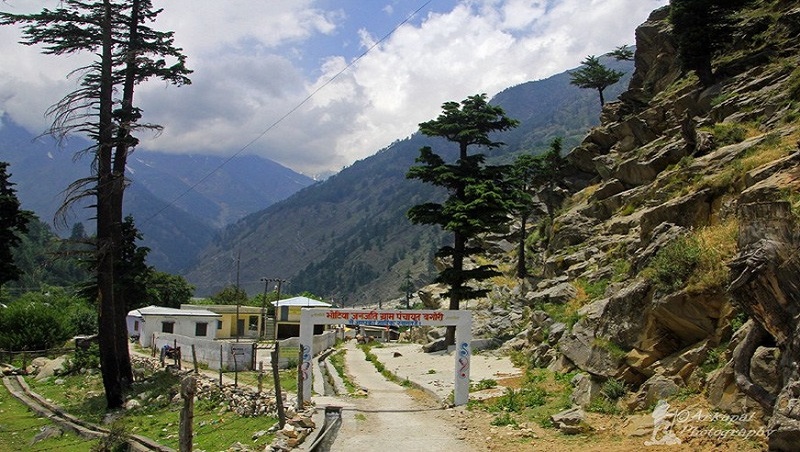 In Mukhwas village there is the visitor comes in large numbers for worship to the Gangotri and see the beauty of Mukhwas village. Gangnani is located 26km from Harsil. Befor that Gangnani is known as its hot water string. Gangnani is a beautiful place to see and there is very attractive scenery that’s why huge people come to visit Gangnani. The height of sattal is 1370 above the see lavel. Sattal is a heaven for natures lover and bird watchers, this is very attractive place for photographers. Sattal is is few km far from Harsil and very easy trek of about 3 kms from Dharali. Harsil is a best place to visit and you can visit Harsil throught the year but the mostly people go there in winter season for snowfall view. In summer season the weather are very pleasant and clear. The maximum temperature of Harsil is goes to 22 degrees celcius and the minimum temperature 9 degree celcius. This time is very sutable for trekking and other activities. In monsoon there is heavy rainfall during the months of July and August. I think you should drop your planes in monsoons duration just because of landslides. If you plane your trip in monsoon season than don’t forget bring your raincoats. The winter season is a best time to visit Harsil just because of snowfall. It is suitable for outdoor activities. Harsil receives snowfall during the winters, and the temperature touches zero and sometimes even negative. you can easly reach Harsil by air ,Train and by road. Harsil is 232 km from Jolly Grant Airport.Jolly Grant Airport is the nearest Airport to Harsil. The Airport is well connected to Delhi by regular flight. Rishikesh is the nearest railway station to Harsil and Rishikesh is well connected with major cities. Harsil is 215 km from Rishikesh. Taxi and buses are easly available outside the station.